What better flavors to welcome Fall than the spices associated with pumpkin pie? I have wanted to try a pumpkin spice cookie for several years, and in my mind I thought that all I would have to do is replace some of the granulated sugar in my cookie recipe with some brown sugar and add some pumpkin pie spice. So easy! I thought they tasted pretty fantastic, but they still needed to pass the grandkid test. If they liked them, then I knew I had a winner. After the cookies were made, I sent a few cookies to four of my grandkids and a larger box of cookies to my granddaughter away at college, so she could share with her teammates. I loved the cookie with a cup of coffee, but I wanted to see if they had wide appeal. Most kids love cookies, and college students really love getting goody boxes, but I was counting on them to give me their honest opinion. 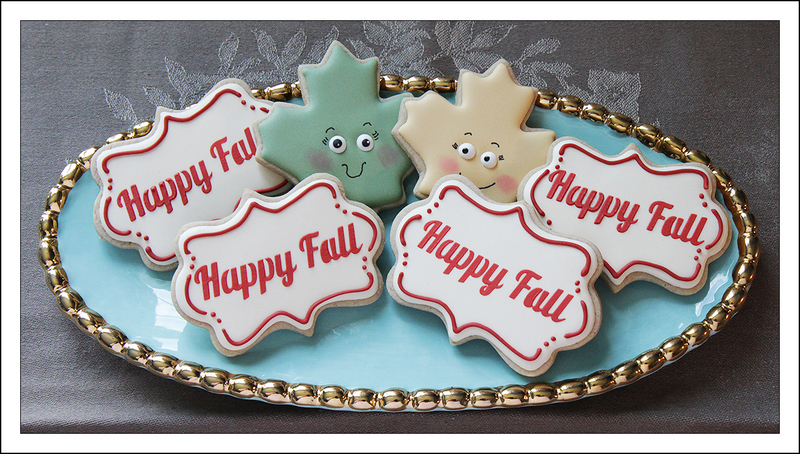 I assured them that their comments would have no bearing on future cookie packages. When the reviews came in everyone loved them. In addition to making the cookies with pumpkin pie spices, I added a few drops of caramel flavoring to my royal icing recipe. It was the perfect complement to the cookies. I was able to get the flavoring at my local farmer’s market, but I included the link to Amazon’s product page so you could see exactly what I’m talking about. Lorann Oils makes many different types of oils, emulsions and flavorings. I have read that you shouldn’t use any oil in royal icing but I have no experience to back that up. To be safe I used the flavoring. The recipe I used to make my cookies is below, but if you have a recipe that you love and feel like experimenting try substituting half of the granulated sugar with brown sugar and add 2 1/2 teaspoons of either pumpkin pie spice or with a combination of cinnamon, nutmeg and a tiny bit of ground cloves. 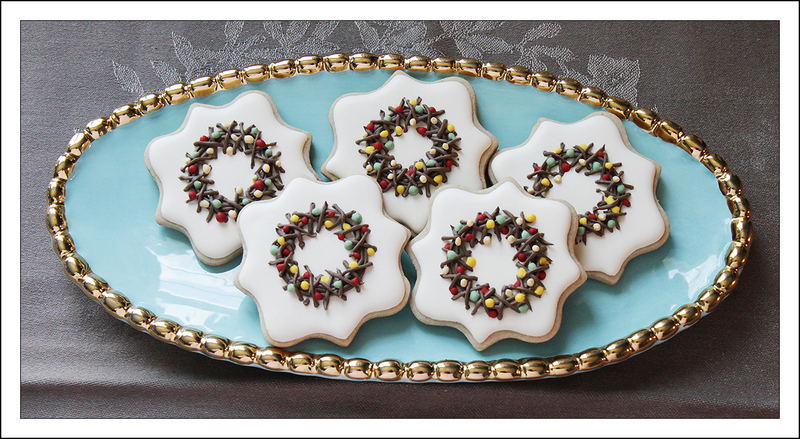 These cookies are wonderful on a chilly day with a cup of whatever warm beverage you prefer. I hope you try them and let me know your thoughts! *If you don't have pumpkin pie spice you can make your own mixture with 1 1/2 tsp cinnamon, 1/2 tsp nutmeg and 1/2 tsp ground cloves or any combination you like. Mix butter and granulated sugar until thoroughly blended. Add eggs, vanilla and pumpkin pie spice. Mix well. Add flour, mix until combined. Separate the dough into 2 or 3 balls, flatten and wrap in plastic wrap. Refrigerate for 3 hours or overnight. The dough can also be frozen at this point. Defrost it in the refrigerator. The dough will keep for a few days, in the refrigerator and several months in the freezer. Take one piece of dough out and let it sit on the counter for a few minutes. The dough will be very hard, but it softens quickly. 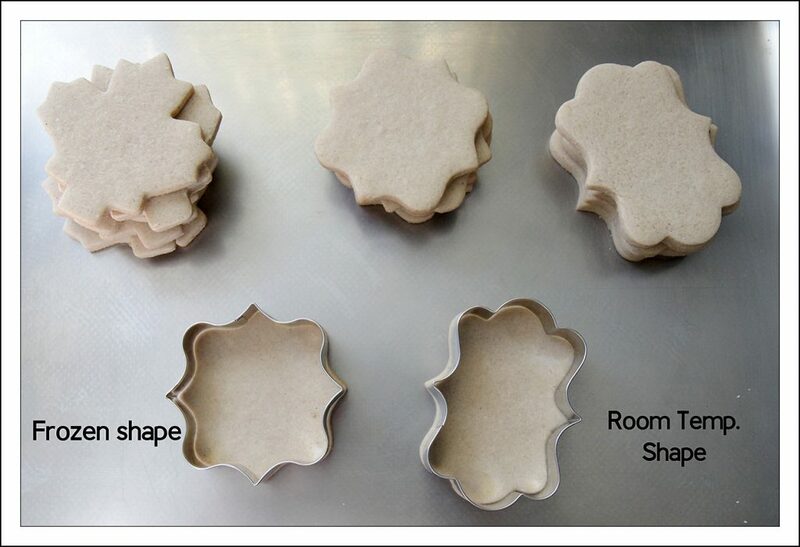 Working with one section of dough at a time, roll the dough on a floured surface, to about 1/4″ thickness, and cut into desired shapes. Bake at 375 degrees for 8-10 minutes, until the cookies are slightly brown on the bottom. All ovens are different so keep an eye on your cookies the first time you make them to determine the best time for your oven. I don’t normally refrigerate or freeze my cut out cookies before I bake them but a lot of bakers do to help minimize spreading so I thought I would see if it made a difference in my cookies. I froze the cutouts for 15 minutes before baking them. I didn’t find any difference in any of the cookies except the frozen cookies took longer to bake. As you can see I didn’t get any spreading with either cookie. It’s one of the things I love about this recipe. Thanks for the recipe. It sounds amazing. May I ask, what brand of pumpkin pie spice you use? Wondering if you have a preference. Thanks!! Thanks! I used McCormick’s but it’s because it’s what I had on hand. I have no preference. Good luck and please come back and tell me if you liked them! I can’t wait to try this. Thanks for the share. These look delicious! I was wondering if you use salted butter, or unsalted? I didn’t see any salt in the recipe, so I was thinking maybe you used salted. Thank you!! I always use salted butter. I have tried both and don’t notice any difference. This way I don’t have to stock two different types of butter.